The season of giving is upon us, and if you’re like most people, you probably haven’t budgeted appropriately for this, even though you’ve told yourself this year would be different. This past July, Forbes released an article discussing budgeting for charity – even if you aren’t rich.Giving even small donations alike activates our reward center which invokes a happy feeling. However, spontaneous giving can put us in a bind, especially when we do it in the midst of bills and have little wiggle room outside of the discretionary budget we’ve planned for the next couple of months this holiday season. If you enjoy giving throughout the year or designated times, we just want to make sure we’re doing this the right way. 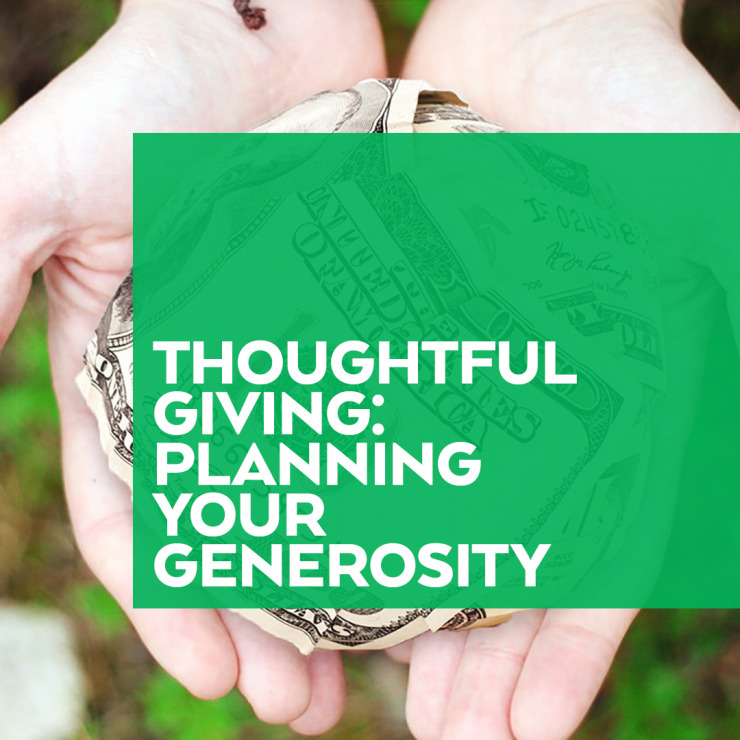 While much of what we do here at InvestEd focuses on helping individuals with their personal financial situation, we recognize that this can also include helping others, whether that is through general generosity or actual philanthropy.So, let’s discuss some ways you can be a thoughtful giver this year without breaking the bank. 1.Budgeting monthly for charitable giving. One of the issues we can struggle with is the desire to help too often. If there’s a cause or someone in need, we like to help!This isn’t a bad thing; our suggestion is to plan for it appropriately because otherwise, it can impact your finances in a way you weren’t prepared for and you may find yourself being the one asking for help. The smart way to give is to allocate a monthly amount or deduct an amount of your paycheck and set it aside for charitable giving.This will allow you to control how much you give, but still, allow you to give at an appropriate rate that isn’t putting you behind in your own financial goals. Just like a regular budget, you’ll need to look at what your monthly expenses, set aside money for your savings, set a reasonable amount you can live off of for discretionary spending, then work your giving into your budget. 2.Give a flat percentage of your paycheck. I understand it may not be an easy task to always give a flat amount, especially if you have a job where your pay can fluctuate.In this case, just give a percentage of your income.Regardless of how much you’re making, you’ll always be giving the same percentage, which will allow you to continue to give at a rate that is appropriate to your cash flow and will keep you out of trouble with your own personal finances. This way, you take the stress out of what specific amount you need to give and regardless of your income, psychologically you feel “wealthy” because of having enough money to be able to donate. If you want to give back, but your finances don’t allow space to do so, remember, there are plenty of organizations that need people’s physical support, not just monetary contributions.Volunteering is a great way to give back and feel the happiness of doing something nice for someone else. It’s even better when you donate your time to an organization whose values and mission you truly believe in and want to see fulfilled. Moreover, volunteering hands-on allows the immediate gratification of seeing and knowing how your contribution benefits those you came to help. What a great feeling! When you offer an in-kind donation, like volunteering, you can make sure you’re focused on your own personal financial goals, but still, experience the joy of giving back.Money is the quick and easy way to give, but do not discredit your own abilities to help out.So, if you are in a tough financial situation but still want to give, consider the donation of time, and choose to volunteer. As always, InvestEd. is here to help out with your own personal situation, and we can help you budget accordingly for whatever goals, needs and wants you may have.Check out our website, mdinvested.com and sign up for a complimentary one on one meeting today.